The Auclair Charlevoix waterproof winter mittens have a dual outer shell and palm made up of goatskin. The goatskin creates a durable and breathable outer layer that provides excellent grip as well as a lustrous feel. Extra layers of goatskin on the palm and thumb overlay provides added resistance against wear and tear. Constructed with a Ski-Dri membrane (interlining), this climatic material is waterproof, highly breathable and windproof to protect against the coldest conditions. To keep you even more protected against the elements, the Charlevoix is insulated with a layer of 150g 3M Thinsulate Platinum; a synthetic and hydrophobic fiber that provides maximum warmth even in damp environments. 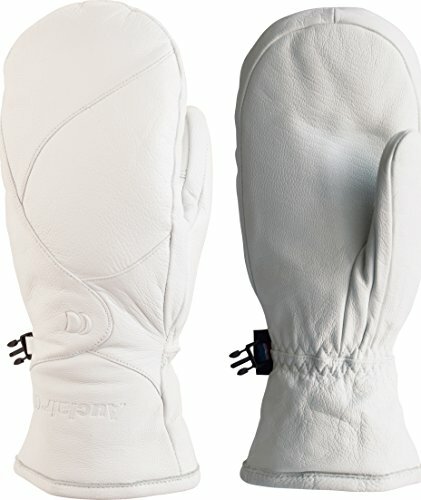 Focused on comfort as well as function, this mitten is lined with brushed Bemberg for a soft, luxurious hand feel. With an elastic wrist for a snug, comfortable fit and pre-curved fingers for added ergonomic fit and comfort, the Auclair Charlevoix waterproof winter mittens are ready for anything mother nature might throw at you. View More In Cold Weather Gloves. If you have any questions about this product by Auclair, contact us by completing and submitting the form below. If you are looking for a specif part number, please include it with your message.